Dental fillings are a common procedure at Rouse Hill Smiles, particularly to treat tooth decay, teeth wear and tooth erosion. We pride ourselves on being an amalgam-free practice, choosing to only use materials for composite restorations from the safest and most-trusted brands, such as OptiBond and Gradia Direct. We also like to utilise a material known as Glass Ionomer Cement (GIC), as it bonds onto the tooth’s surface, releasing fluoride to help with decay prevention. You’ll find our tooth-coloured filling material blends seamlessly with the natural colour of your tooth. At Rouse Hill Smiles, we believe in treating you with quality service and care to help you get your best smile. If you require a dental filling, Dr Teena has immense experience in this field and will ensure you feel comfortable and at ease whilst undergoing treatment. During your consultation, our dentist will take a radiograph or x-ray to further examine the site of your filling. She will also discuss her findings with you, to help you understand why your tooth requires a filling. Dr Teena usually performs fillings whilst the patient is under a local anaesthetic to ensure the process is as pain-free and relaxing as possible. However, if patients would prefer not to be placed under local anaesthetic for the procedure, they are welcome to skip this step. Don’t let your dental concerns stop you from having the smile you deserve. 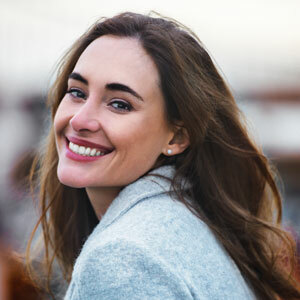 If you have an old metal filling which needs replacing, or fear you may be experiencing tooth decay, schedule a consultation with Rouse Hill Smiles today!